Upon hearing about the introduction of the Restore/Preserve Campus Free Speech Act in the North Carolina Legislature, I decided to give a written testimony on my experience as a student at a North Carolina college with restrictive free speech codes. I have included a detailed report of the current state of free speech on my campus, Appalachian State University. 1) Many universities have instituted restrictive free speech codes in recent years, many of these codes are vague and place a limitation on the fundamental civil liberty of free speech. 2) Universities should be bastions of free expression, enabling critical thinking and productive debate. 3) The American Civil Liberties Union has openly condemned free speech zones and restrictive free speech codes. 5) When crafting free speech policies, many universities do not abide by reasonable limitations, such as time, place, and manner. Some policies (see Appalachian State University’s chalking policy 3.20) place an outright ban on political expression via some mediums of free speech. 6) The State of North Carolina has a duty to protect the basic elements of the First Amendment on its public universities. 7) In those protections, it is important to protect the right for an individual to freely express themselves without fear of censorship or being shut-down and silenced. 8) Public universities should adhere to the basic protection of free speech as permitted by the State of North Carolina as well as the United States Judicial System. There is little-to-no “wiggle room” for universities to craft their own free speech policies that do not fall in line with free speech precedent. My name is Nicholas Williams, I am a sophomore economics major at Appalachian State University. I am currently the Co-President of Appalachian State Young Americans for Liberty. 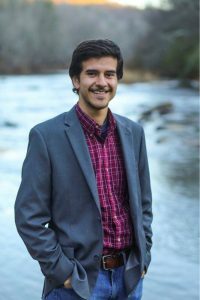 Upon my tenure as a student at Appalachian State University, I have served as a student government Senator, a member of university committees, and an executive member for other various advocacy and academic organizations on campus. Due to recent encounters with school administration on various forms of on-campus activism, I felt compelled to secure one of the most basic fundamental civil liberties, freedom of speech. I write this brief not as a conservative or liberal, but as an engaged student concerned with free speech on college campuses today. Universities should be bastions of free expression and open dialogue; however, recent campus responses to various forms of political expression have placed unreasonable restrictions on free speech. These restrictions have created unnecessary controversy and censorship. These restrictive codes have failed to maintain an open learning environment with free exchange of ideas. When a university crafts policy on free speech, it is important to look at precedent on free speech policies across the country. It is also important to recognize that any limitation of political speech is restrictive. The first amendment is not crafted for loose interpretation and it is important for state-funded universities to uphold, and not dilute, students’ basic right to free speech. I first became aware of Appalachian State’s restrictive free speech codes after a friend and I were participating in electioneering at Appalachian State’s on-campus voting site. After placing campaign material outside of the university’s dining hall, a location which was non-impeding to students and voters, we were confronted by the university police. We were informed that we were not allowed to place campaign material in this location as it was not a recognized free speech zone by the university. As active students on campus, we were appalled to learn that the university still enforced free-speech zones after other universities had failed in defense of their free-speech zones. We complied with the officers’ demands, but were encouraged to conduct research on Appalachian State’s history with free speech. Upon our initial research, we discovered that Appalachian State’s Free-Speech zones consisted of 7.69 acres of University property. Compared to the 375 total acres of campus, recognized free-speech zones only consist of 2% of the total developed campus property. Since we discovered those facts, we made several strides with student government in preparing legislation to address these restrictive codes, yet the likelihood of administration adopting these suggestions are slim. In 2007, Appalachian State University Student Government adopted a resolution to “Repeal University policies that restrict Free Speech” which maintained that the current restrictive free speech codes violate the Appalachian State University Student Government Association’s Bill of Rights, Section C, states, “Each student shall be secure that no University organizations or their facilities shall be used as a device of censorship.” Since the passage of that resolution, there was little-to-no action from the university to reduce the restrictive free speech codes. The American Civil Liberties Union stated on free speech zones, “While there may be specific areas where speech activities can be limited, such as inside classrooms or administrative offices, the presumption, is that all other areas of the campus must be open to lawful speech activities and no special permission is required.” Free speech zones have a history of merely tolerating speech in certain designated areas rather than inducing a “marketplace of ideas,” an axiom which has traditionally held true to productive and fruitful college campuses. February of 2014, the Huffington Post published an article by FIRE (the Foundation for Individual Rights in Education) which ranked Appalachian State University as the 7th worst college for free speech in 2013. As a proud student and advocate for Appalachian State University, I do not think it serves our state’s best interest to continue allowing restrictive free speech policies on taxpayer-funded campuses. Enabling these current policies to stay in place sends a message loud and clear on the state’s stance on promoting open dialogue, and free exchange of ideas. The Constitution is very explicit about the importance of upholding free speech. Inhibiting another’s ability to peacefully express their views is a blatant form of censorship. The first amendment is applicable throughout all of the United States, not just certain marginal areas university administration deems appropriate. Furthermore, it is critical that the rights of speech for any speaker be protected from interference. This policy outright bans a medium of free speech, not placing a reasonable limitation on political chalking, but limiting chalking to the purposes of marketing events. Furthermore, the statement in the chancellor’s email alludes to empowering the university administration to determine their own limitations on free speech despite what federal and state laws and constitutions have upheld. This further justifies the need for the State of North Carolina to clear up the ambiguous free speech codes which are plaguing North Carolina’s college campuses. As someone that has been relatively involved in on-campus politics, I was not directly affecting by the chalking ban. But I recognized the dangerous precedent the university administration was setting for free speech codes in the future, and felt compelled to get involved. My organization, Appalachian State Young Americans for Liberty, held three pro-free speech events this year. We held a Free Speech Beach Ball event in September, and Free Speech Chalking Protests in October and February. Our message was rooted in the importance of defending the First Amendment, and that restriction of speech benefits no parties involved in discussion or debate. We used these events as a way to educate the student body on the university’s policy on chalking and free speech zones. All three events received applause from students and faculty. The participants ranged from all ends of the political spectrum. Our free speech chalking protests were two events where we provided chalk, as well as copies of the constitution, to students and encouraged them to write whatever they please, as long as it was not threatening or libel. As you may expect, the protest provoked many different individuals to write encouraging messages to one another, offer opinions on political issues, and provoke various forms of free expression in chalk. During our second chalking protest, we were encountered by a campus police officer. As they were doing their job, they were not clear on what the policy permitted and what it did not permit. My Co-President and I were faced with potential university conduct charges on vandalism. Fortunately, after receiving adequate legal advice from our attorney as well as outside free speech advocacy organizations, the university’s student conduct board dropped all potential charges. Unfortunately, we were not able to incite change on the administration’s stance on chalking. As an individual, I would have no right to write a political message in washable chalk. The university does have a right to set reasonable limitations on chalk, such as the chalk must be washable and chalking messages cannot be under an overhang or roof; however, the university did not place a reasonable limitation on the act of chalking. Reactionary policies in response to free speech do nothing to limit tensions or provide a “safe space” for students; instead, they create a hostile environment for exchange of ideas and intellectual discussion. Public university administration, which do not have nearly as much freedom to craft their own policies as private universities do, should hold true to the basic standards of civil liberties. Students, just as I did, have the potential of being charged for exercising their first amendment rights. Differing opinions and outlooks should be encouraged on college campuses, and our country has had the unique historical advantage of upholding the first amendment, however the most basic civil liberty is threatened on college campuses today. Opponents of free speech have applauded these restrictive codes as “safe speech;” it is unfortunate and irrational that some individuals view certain differing opinions as a threat to their safety. Restrictive free speech codes on colleges only further false securities during a critical time in human life where critical thinking and difference in outlook are crucial for development. I hope that members of the North Carolina General Assembly recognize their duty to protect basic constitutional rights on North Carolina’s college campuses. Academic excellence and personal freedom is vastly reduced when colleges impose restrictions on speech to their students and staff. Previous PostPrevious Who Is Defending Us?